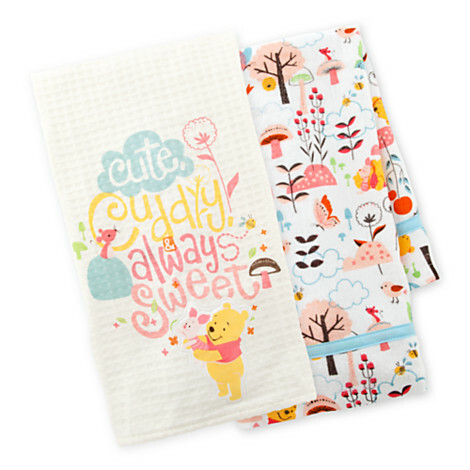 Even if warm weather isn’t here yet, these Pooh Towels will make you FEEL like it is! I mean, just look at them. LOOK at them! Don’t they just make you feel warm and happy and springy? Kind of the opposite of how maybe you’re feeling right now? These will help, friend. Spring is on the way and soon, your Winnie the Pooh Towels will be, too. Click away and feel the warmth. Feel the SALE this weekend only! At Disney Store online, use code BLOOM and get up to 25% off! Ends Sunday, March 8th. So sweet and perfect for springtime!